NO ONE IN LA EVER TAKES THE BLAME - Mayor Villaraigosa, the 11% Mayor who could balance the budget with his frequent flyer miles, has a long tradition of empowering a rotating cast of Deputy Mayors and General Managers in an effort to distance himself from his legacy of non-performance. The City Council, completely impotent in its ability to direct city staff, resorts to motions ordering studies and reports as tools of coercion and then settles for the City of LA tradition of dividing the spoils by 15, regardless of need or relevance. Commissioners, appointed by the Mayor, posture and pontificate, sometimes with acknowledged irrelevance and sometimes with significant political power but most often with Mayoral direction and benign neglect. Claims of significance are often challenged by reality. General Managers, also appointed by the Mayor, find themselves caught between a term-limit restricted Mayor and a Civil Service hard place. Critics claim that they often serve as simple cannon fodder and Mayoral expeditors. Navigating the treacherous press conference waters of LA’s City Hall operations are the “clients” who make the city run, the developers, builders, architects, engineers, transportation specialists, land use lawyers and consultants who advise the Mayor and his team. Consider the latest dust-up at LA’s Department of Building & Safety (LADBS). 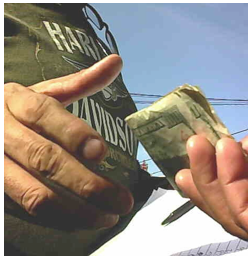 First, a local community member games the LADBS and initiates almost 200 Fence Height complaints against his neighbors, resulting in fees, fines, and penalties that then draw threats of garnishment, liens, and other legal action. Then Council President Eric Garcetti intervenes and introduces a Council Motion that proposes solutions. He also sends a letter to LADBS General Manager Bud Ovrom “asking” him to hold all cases in abeyance while the issue is resolved in City Council. Four months later, Bud Ovrom finds himself in hot water when Code Enforcement Bureau Chief Dr. Grace Harper, a 33 year veteran of LA’s civil service, simply rejects Garcetti’s request without notifying him, responding with an explanation, or even acknowledging receipt. While the irony of responding to charges that complaint driven code enforcement results in selective prosecution was lost on Harper, she defended her department’s actions by referring to their legal mandate to investigate all complaints but could not identify any statute or code that supports her position. As for Ovrom, formerly the Deputy Mayor responsible for two of the city departments currently under Federal investigation, he finds himself navigating tough political waters. He has the Mayor on one side who simply needs to get to the end of his term, he has a City Councilman on the other side who needs to show the world that he is a credible candidate for Mayor, he has the Feds behind him investigating his department, and he has a retaining wall of civil service protected lifers in front of him that know he will soon be gone and it will be business as usual. Off to the side are the “customers” who are the “business as usual” and they are known as the Development Industry Advisory Committee (DIAC). From Latham and Watkins to Gensler to California Home Builders to Englander, Knobe & Allen, these are the folks who meet regularly with Deputy Mayor Matt Karatz and GM Bud Ovrom to steer the ship. Meanwhile, Councilman Eric Garcetti has tendered a City Council President-to-General Manager request that flatly gets ignored, he has trusted Council District staff who reassure him that all is well, and he has dismissed complaints from the community because he naively thinks the system is working. The Mayor’s office accepts no responsibility for the upside-down priorities that classify the developers and consultants as the “customers” while balancing the budget on the backs of the people who invest in homes and businesses in the community. The Commissioners are hardly representative of the public, serving at the Mayor’s pleasure (and sometimes at his displeasure), typically handling consent agendas filled with fodder for press releases. The City Council is tolerated by Departments that still divide the city into 15 regions, assigning a “handler” to each Council District to keep the politicos at bay by dispensing constituent treats equally. These buckets of asphalt and hot-spot support activities keep City Council incumbents seated and sated. Councilwoman Jan Perry looks at the revolving door of political impotence and complains that the problems stem from term limits. She points out that it is impossible to have a long term vision for the City of LA if all the work must be done in two mayoral terms. Perry notes that term limits destroy any institutional memory and empowers lobbyists who have been around for a long time, elevating their insight and guidance in value. Meanwhile, LA’s Code Enforcement is a General Fund activity, one that is subject to the Mayor’s cost recovery mandate, resulting in a predatory relationship with the people the City of LA is supposed to serve. Why is the LADBS rejecting requests from the public to participate on the LADBS and Planning advisory committees while Primestor Development, KPFF Engineering, California Home Builders, and RA Build Commercial LL enjoy unfettered access? It’s because they see the developers as the client and the public as an obstacle. Why won’t LA Deputy Mayor Matt Karatz and General Manager Bud Ovrom find the time to meet with the public, the residents of Los Angeles, the nearly four million people who are the reason for City Hall? It’s because they know that there is no penalty for ignoring the public. How does Eric Garcetti hope to position himself as a credible candidate for Mayor if he can’t get the GM of LADBS to acknowledge his communications, if he can’t get LADBS to accommodate his request for an abeyance, if he can’t get his staff to keep him informed of the reality on the streets, and if he can’t solve a simple Code Enforcement problem in his district. He can’t, because he is unable to establish himself as LA’s “The Buck Stops Here!” candidate.